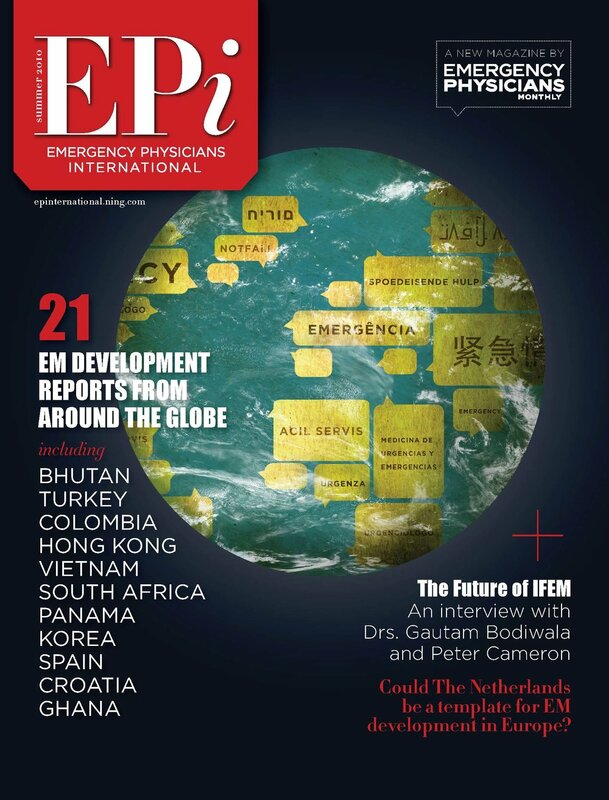 This report was originally published in 2016, in EPI issue #20. After decades of armed conflict, Iraq is emblazoned on the consciousness of many people as a television news report, with Baghdad in flames, car bombings, and international military incursions. Dr. Gazi Zibari, a member of the Kurdish ethnic minority that composes about 17% of the Iraqi population, can recall a different Iraq—an Iraq where the sick and the injured travelled 8–9 hours on horseback to see a nurse with only three months of training, who would call for help from the few doctors in the area when she was able to reach them; where children died from ruptured appendices, and women and their unborn babies died for the lack of anyone with the skill to turn breeches or do caesarian sections. It was in the Kurdish region of Northern Iraq where Saddam Hussein closed the borders to prevent supplies from getting into Kurdish provinces and swore, quite proudly, not only to cleanse the country of the ethnic Kurds but to wipe out the name of the Kurds and Kurdistan from every school textbook and from history itself. Dr. Zibari left in order to survive. After a year in Iran as a refugee, he went to the United States in 1976, learned English, went to college at night while working during the day, attended medical school, did a residency, and then completed a transplant fellowship at Johns Hopkins during the First Gulf War. While the younger brother was becoming Dr. Zibari, the older brother became General Babaker Zebari (the spellings of their surnames differ, as both are English translations from the Kurdish language, which is written in Arabic script). General Zebari served in the New Iraqi Army and was Chief of Staff of the Iraqi Army from 2003 till 2015. Dr. Zibari’s dream was always to return to his homeland to improve the quality of medical care by providing capacity for the bright, skilled, and dedicated physicians there to be able to function at the highest levels of their abilities. The first step to the realization of this dream came at the close of the Gulf War, when General Zebari told his brother that if he could manage to reach Zakho, in Northern Iraq, the General would facilitate his entry into his homeland. In June 1992, under the protection of NATO and the United Nations, the Kurdish people voted for the first time to elect their own Parliament, and two brothers, parted for almost two decades, greeted each other on opposite sides of a bridge in Zakho. Dr. Zibari recalls that he cried at seeing a sign stating “Welcome to Kurdistan” in Arabic, English, Turkish, and Kurdish. The Kurdish people were validated, if not in their own autonomous nation, at least in territory where they could live openly, in democracy, without fear of genocide. The brothers walked off the bridge and headed immediately to the Azadi Teaching Hospital in Duhok, the former Saddam Hussein Hospital, where Dr. Zibari promptly began the fact finding mission that formed the basis of all of our future work in Kurdistan. He found antiquated textbooks, no internet access, empty pharmacy shelves, procedure trays with incomplete sets of instruments, and dedicated, intelligent, passionate physicians who were eager to acquire the knowledge and skills that had been denied them during the reign of Mr. Hussein. During his vacation time from his academic position in the US, Dr. Zibari returned to Kurdistan each year to bring medications, pharmaceuticals, textbooks, journals, and instruments, and to teach his colleagues how to use them. By day, he taught the doctors, and at night locals lined up wherever he was staying to consult him on clinical conditions for which they had not found adequate care. One of these clinical conditions was renal failure. In a nation lacking dialysis machines, only the fortunate were able to be dialyzed, for a two hour run, twice a week. Even so, they were dying. Two needs became very apparent to Dr. Zibari: first, he needed more US-trained physicians, and second, he needed to teach renal transplantation. In 2004, when the ban was lifted on travel to Iraq by individuals not born there, Dr. Zibari began to compose a team of trusted physician friends from various specialties to accompany him. By 2010, both needs were met: Dr. Zibari had a team representing the specialties of transplant surgery, general surgery, traumatology and emergency medicine, neurosurgery, critical care, ophthalmology, otolaryngology, and surgical oncology. The local Kurdish surgeons had also been sufficiently trained to open their own renal transplant service, currently performing 2–3 living donor transplants per week in Duhok, and 3–4 per week in Erbil. Members of this surgical team, which I joined in 2010 as a professor of emergency medicine, trauma, and intensive care, now make multiple visits a year to Kurdistan of Iraq, with sponsorship from the Americas Hepato-Pancreato-Biliary Association, Operation Hope Foundation, the World Surgical Foundation, Prime Minister Nichervan Barzani Health Foundation, and Duhok Province Ministry of Health. True to the original mission, capacity building is our focus. Team members work in the OR alongside Kurdish surgeons and residents, teaching complex transplant, laparoscopic, neurosurgical, and oncologic procedures. We work in the Emergency Department alongside attendings and residents managing difficult intubations and trauma cases, and we make rounds on the critical care unit and in the ICU, discussing management while sharing journal articles and best practices. Several formal educational seminars and procedure labs are held for all levels of providers: nurses, medical students, residents and attending level physicians. Training is also provided in disaster management, austere medicine, ultrasound, and the management of exposure to chemical and biological weapons. Quality capacity building must also include the skills necessary for academic advancement, so each year an academic seminar is sponsored in which both US-trained and local physicians present topics that are common to emergency medicine and surgical conferences worldwide, providing an opportunity to develop presentation skills and build their curricula vitae. Residents at the Azadi Teaching Hospital are currently working with me to develop case reports for publication in regional journals, and we are reviewing the literature in preparation for the first ever journal club, which will take place on our next visit to Kurdistan and will include residents, faculty and community physicians. The next visit will also include a seminar on scientific writing and preparing manuscripts. One of the pediatric urologists, the first in the region to use minimally invasive technology to treat uretero-vesicular reflux, is working with me to prepare a case series for publication, and two of the renal transplant surgeons have completed data entry on a 10-year non-inferiority study of transplant outcomes which we plan to publish. Since true capacity building involves providing knowledge and skills to native physicians and allowing them to develop resource sensitive and culturally competent best practices for their own country and culture, plans are in progress to bring an attending level physician to the US for a 2-year toxicology/research fellowship in collaboration with Louisiana State University Health Sciences Center-New Orleans and Emory University. Plans are also ongoing to develop observerships and explore the possibility for emergency medicine residency training of Iraqi Kurdish physicians in the US. Eventually, emergency medicine will emerge as a specialty in Kurdistan of Iraq, and the ravages of the dictatorship that barred the transmission of modern knowledge and equipment to a people whom it destined for genocide will be erased. For a commitment to global health to be true, we must believe in equal access to the best possible care for every person on the planet. For Gazi Zibari, bringing equal access to the best possible care to Kurdistan has been the passion that has fueled his life and career. He has infused this passion into the hearts, and minds, and hands of a select team of friends who are making this happen, one small step at a time.